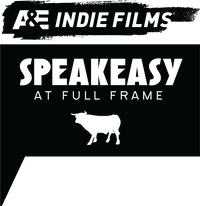 Full Frame is proud to present the ninth annual A&E IndieFilms Speakeasy. The A&E IndieFilms Speakeasy hosts a number of panel conversations over the course of the festival that are free and open to the public. The Speakeasy offers a casual setting where a small audience can listen to industry leaders take on topics that are at the heart of the documentary community today. The A&E IndieFilms Speakeasy feature spirited and engaging discussions and debates between professionals working at the highest levels, both on stage and with the audience. This not-to-be missed series of conversations takes place on Friday and Saturday in the lobby of the Durham Hotel. As the Triangle region becomes a hub for nonfiction film, many documentary makers—both those originally from the South and elsewhere—wonder how they can maintain a livelihood while pursuing their profession. This discussion with local funders and employers explores the many ways that filmmakers can monetize their skillsets while working on their own documentaries. The International Documentary Association has hosted sessions about sustainability in documentary filmmaking across the nation, and IDA’s Dana Merwin moderates this session. The seven films in the 2019 Thematic Program “Some Other Lives of Time” highlight how passing minutes, hours, and days resonate with deeper significance in cinema. This conversation with guest curator RaMell Ross explores the way that time manifests on screen in his selections, and in his own films Hale County This Morning, This Evening and Easter Snap. In this fourth annual #DocsSoWhite discussion about equity and inclusion in the documentary industry, filmmakers and curators reveal their challenges, obstacles, and successes as leaders in the field. In this conversation, they identify pathways forward and examine what work needs to be done, and by whom. This session examines how filmmakers of privilege can successfully move from being “allies to accomplices.” The teams from two 2019 films, Where the Pavement Ends and Mossville: When Great Trees Fall, discuss their experiences documenting stories in which the films’ directors are from different backgrounds than the characters in their films. How can filmmakers go beyond saying that they want to be helpful to colleagues of color and actually make change? Experienced documentary producers discuss a filmmaking role that defies easy definition, including how they came to their careers, the collaborative process of working with directors, and their essential involvement even after films are finished. Our continued series of discussions with documentary trailblazers welcomes Full Frame founder and award-winning filmmaker Nancy Buirski back to the moderator’s chair. Our 2019 interview is with celebrated filmmaker Stanley Nelson. A winner of multiple Emmys and a recipient of the MacArthur “Genius Grant,” as well as the National Humanities Medal from President Barack Obama, Nelson is one of the most significant documentarians of the African American experience. Nelson also founded Firelight Media, inspiring generations of new voices in documentary film.